For those of you who don't know me personally, I was running Jenna Jordan Design on top of a full time job. At the end of last month I was able to transition from my full time job to a part time position at Mercy Hill Church, and I really could not be more excited or thankful! I've been a communications associate at Mercy Hill for two weeks now, and I am blown away by how encouraging the experience has already been. I'm getting to work on design projects, social media (follow our Instagram! ), and I'm even assisting our videographer soon, which I'm really excited about. I've learned a great deal in the past two weeks, and I'm thrilled to continue to learn and grow with such an incredible team to further the gospel in this city, the triad and throughout the nations. Working for Mercy Hill part time is also enabling me to devote more time to Jenna Jordan Design, which means I will get to do a lot more fun projects like the one you'll see below! In addition to wedding stationery, I'd love to design business cards, logos or anything else you may need for your business or just for fun, so please let me know if you'd like to collaborate! I'm also excited to share this project with you because of how much I love this client. 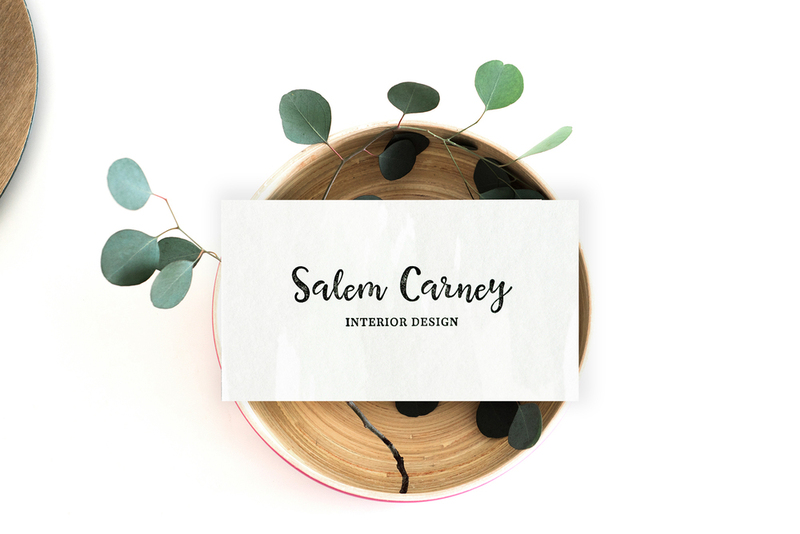 I created this business card for my good friend Salem Carney, who is a design student at UNCG. I met Salem through our community group at church, and she is an incredibly talented woman who loves the Lord. God is already using Salem mightily while she is in school. I am constantly encouraged by her genuineness and her desire to share the gospel. She is an extremely caring person, and she has an uncanny ability to make everyone around her feel heard, special and loved. 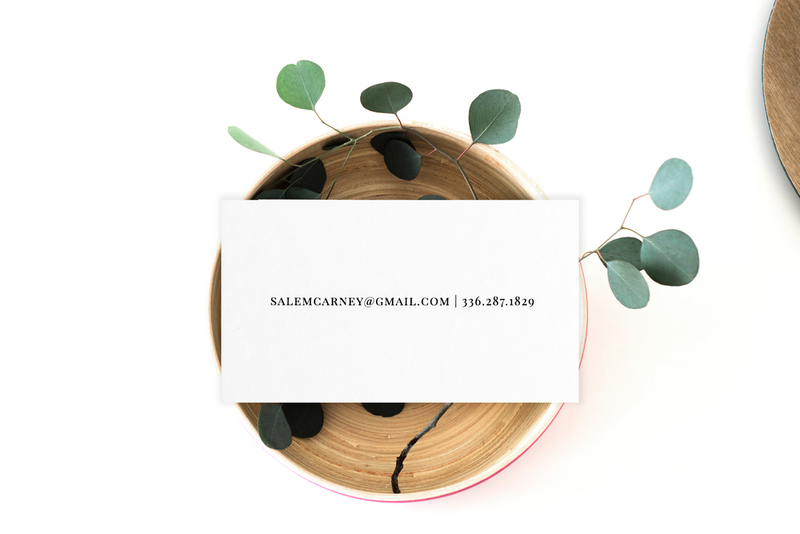 I also truly believe God is going to do great things through her when she graduates next spring, so I was super excited when she asked me to design these business cards for her. Lastly, I really enjoyed this project because it was my first time working with a letterpress printer. I love letterpress, but I'd never had the chance to try it out. So Salem, thank you for this chance! I ended up meeting an awesome girl through Mercy Hill that runs her own letterpress business called Printology Press (you should all go check it out and use Printology for all your cool projects!). Working with Printology was an awesome experience, and I will definitely be working with them again on future projects (including new business cards for myself, which should be coming soon!). I love how these cards turned out for Salem. We used a super subtle watercolor wash on the front and then kept it classy and simple with the text. I think these business cards are a striking example of the "less is more" mantra. I hope this post can inspire you today to go out and try something new. I'm certainly so thankful I was able to dip my toes into the waters of the letterpress world...it's always refreshing to get a little wet :) TGIF!